Relieving heartburn, controlling cardiac disease, reducing obesity, treating bronchial asthma and getting rid of cough are some of the most important fennel benefits that make this herb valuable for health. Fennel is a cooling and aromatic herb that is used in various culinary preparations as well. The fruits and leaves of this plant have a sweet flavor. Interestingly, fennel is often termed as seeds although it is a fruit. Scientific Name: Foeniculum vulgare, Foeniculum foeniculum Karst., Foeniculum capillaceum Gilib. This therapeutic herb is native to the Mediterranean region. 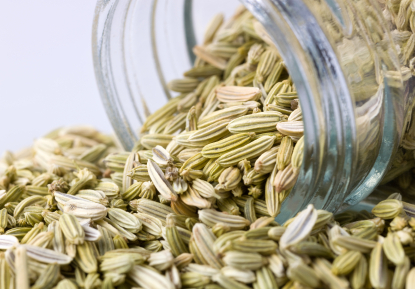 The major produces of fennel or saunf are India, China, Egypt and Turkey. Fennel is a member of the family Apiaceae (Umbelliferae). Fennel or saunf has carminative, galactagogue (promotes lactation), anti-carcinogenic, anti-inflammatory, anti-spasmodic, antimicrobial and diuretic properties. It has a mild licorice or aniseed-like flavor because this herb contains a compound called anethole. Moreover, it is rich in phytoestrogens and includes the antioxidant flavonoid quercetin. Fennel benefits the stomach and intestines. Thus, it aids in digestion and stimulates the metabolism. In addition, fennel helps relieve problems associated with colic, irritable bowel syndrome, spleen and promotes the function of liver and kidneys. Besides, the herb protects against cardiovascular disease and cancers (especially, estrogen-dependent cancer). The herb can be taken in the form of fennel tea, too. It cures issues like menopausal disorders, hot flashes, flatulence, etc. Moreover, fennel or saunf reduces anxiety, lifts depression, boosts libido, stimulates menstruation, lowers blood pressure, and improves memory. It also used to treat respiratory congestion, cough, bronchitis, sore throat, hoarseness in voice. Plus, fennel serves as a wonderful home medicine for obesity because it facilitates weight loss as it works as a fat digester, and suppresses hunger and cravings. Here’s a video explaining a few health benefits of fennel. Another advantage of fennel is that it heals intermittent fever by increasing perspiration. When combined with other spices, it can increase circulation and reduce water retention. Massaging with fennel oil helps you get rid of joint pains and even cellulite. It is used in certain detoxifying oil blends, too. In terms of nutrition, fennel or saunf is rich in vitamin C, fiber, potassium, manganese, phosphorus, calcium, magnesium, iron, folate, niacin, and antioxidants. It is considered good for patients who have undergone chemotherapy or radiation therapy. • Simply chewing fennel seeds after meals improves digestion and relieves symptoms like bloating and stomach ache. • Roast fennel seeds lightly and grind them. Consume half a teaspoon of this powder along with warm water about two times in a day to get rid of indigestion, constipation and gas. This fennel home remedy also controls diabetes and obesity. • When dealing with diarrhea, prepare a mixture by grinding five teaspoons of fennel and three teaspoons of ginger. Finally, add some honey. Mix this paste in your tea and consume three times in a day. • The anti-spasmodic benefits of fennel can be derived from fennel tea which helps relive bloating, gas and other symptoms associated with irritable bowel syndrome. Fennel tea can be prepared by boiling one teaspoon of fennel seeds (preferably crushed) in a cup of water about 5-10 minutes. Water can be replaced with milk as well. Besides, fennel tea bags are also available in the market. • Consumption of fennel tea provides relief from nausea and vomiting as well. • Take one and a half cup of water, add six teaspoons of fennel seeds and an equal amount of rose petals in it. Boil the mixture and strain it. Drink this solution two times in a day to cure anemia naturally. • Fennel benefits pregnant and nursing women as it relieves morning sickness and stimulates lactation. You can again take fennel tea for this purpose. In order to increase lactation, drink an infusion prepared by boiling two teaspoons of fennel in a cup of barley water. Follow this therapy 2-3 times in a day. • Steep 50 g fennel seeds in a liter of boiling water. Cool and strain the mixture. Apply this solution on the temples and forehead three times in a day to reduce migraine. • Take a cup of water and add one teaspoon of cherubic myrobalan rind (Haritaki) and two tablespoons of fennel in it. Boil the mixture until it reduces to a quarter of the original quantity. Strain and mix a teaspoon of honey. 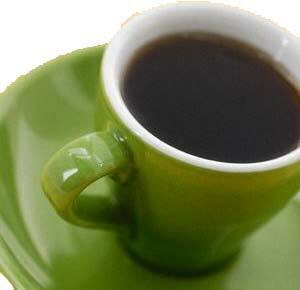 Drinking this solution regularly in the morning on an empty stomach to fight obesity. • Boil half a liter of water mixed with a teaspoon of fennel and half a teaspoon of carom seeds for about five minutes. Cool and strain the solution. Consume a cup of this liquid regularly after having a meal to cure colic. • In case of colic in babies, feed a quarter teaspoon of fennel syrup to the baby two times in a day. To prepare this syrup boil three teaspoons of fennel seeds in a cup of water. Then, add half a cup of sugar in the mixture and boil until it becomes thick like syrup. • Keep a handful of fennel seeds soaked in water overnight. Next morning, strain the solution. Mix a pinch of black salt and little sugar in it. Drink this solution to prevent and cure heat stroke. • Add half a teaspoon of fennel in a cup of water and boil until the solution reduces to half. Cool and strain the liquid. Use it as eye drop to treat eye irritation and inflammation. • Drinking a cup of carrot juice mixed with half a teaspoon of powdered fennel seeds is useful when dealing with weakening of optic nerves and night blindness. • Mix 2-3 drops of fennel oil in a tablespoon of honey and have a teaspoon of this fennel home remedy for sore throat and cough relief. Gargling with warm fennel water is also helpful. When used as a mouthwash, it removes bad breath naturally. • Fennel benefits in healing joint pains and muscle strains. Thus, it is useful in the natural treatment of arthritis and rheumatism. You can massage the affected area with fennel oil. • Applying a combination of one drop fennel, one drop geranium, two drops clary sage oil and a tablespoon of whole fat milk on the lower abdominal area reduces PMS and menstrual cramps. Combination of rosemary and fennel essential oils relieves stress. It can also help cure cellulite. 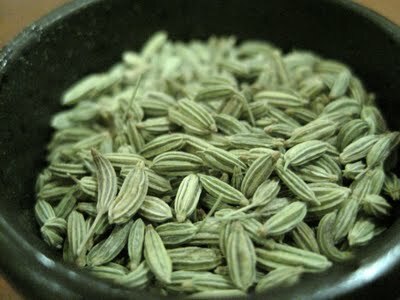 • Mix one teaspoon each of fennel and cardamom seeds. Grind the mixture and take a quarter teaspoon of this powder along with water after meals to heal indigestion. This aromatic herb is also used as a mouth freshener as it removes bad breath. Moreover, fennel home remedies are helpful in getting rid of fleas. The essential oil of fennel is used in certain soaps and perfumes. It is believed that fennel (Saunf) is among the nine sacred herbs of the Anglo-Saxons. Allergy to this herb is not too common. Nonetheless, those who are sensitive to mugwort, celery or carrots may be allergic to fennel as well. Fennel supplements can increase the chances of seizures in epileptic patients. Besides, pregnant women should consult with a health care professional before using fennel oil. Although saunf or fennel benefits the health in numerous ways, it is suggested not consume this herb in excess because it can affect the estrogen levels in the body. Moreover, application of fennel oil on skin can increase skin’s sensitivity to sunlight and hence prone to sunburn. Please give me a suggession how to reduce weight by Fennel seeds. I want to know the procedure step by step. excellent site everything can be known without going to other site. Very useful n easy to follow tips. Tk u.